Dubrovnik is an ancient city located in the southern part of Croatia on the Adriatic Sea. Known as the “Pearl of the Adriatic,” the city is home to unique cobblestone streets, beautiful waters, vineyards, cafes and shops. It is one of the major tourist resorts of the Mediterranean. One event that takes place annually in the city is the Dubrovnik Summer Festival. The festival takes place in July and August, drawing crowds from all over the globe. While attending the festival, visitors can experience theatre performances, ballets, classical music and opera. Throughout the 47 days that the festival takes place; the city will be transformed into a magical world. The Dubrovnik Summer Festival first began in 1950; therefore, for several decades, the event brings lots of laughter and fun to the city. Dubrovnik is home to 33 open air stages in which guests can view spectacular performances. Churches and monasteries are also transformed into concert venues. On the first day of the festival, the flag is raised and a ceremony takes place. Tourists and residents of Dubrovnik participate in singing, dancing and laughing. It is quite an impressive sight. 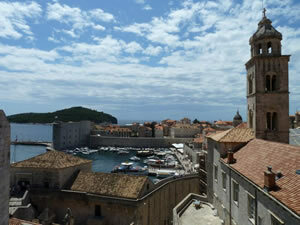 While in Dubrovnik for the festival, tourists might want to see the sights and sounds of the historical city. There are gorgeous churches, Monasteries, synagogues and cathedrals, as well as a gothic palace. Guests will also want to relax on the beautiful beach. The Dubrovnik Summer Festival is a once in a lifetime opportunity that creates a vibrant and lively atmosphere. When getting to the city, travellers will enter through a gate, where guests will take a journey back in time. Visitors will then make cherished memories while visiting this fascinating city. Accommodations can be found to meet the budget of anyone. Guests can choose a less expensive place to stay, or they can stay in a luxury villa.